The Trump administration has said it is confident that "the toughest ever" sanctions against Iran which came into effect on Monday will have the intended effect to alter the Iranian regime's behaviour, even as it dodged a question on whether the US has firm commitments from India and China to stop all oil purchases from Tehran within six months. India and China -- the two biggest buyers of Iranian crude-- have so far appeared to have skipped the punitive American sanctions targeting the Iranian oil and financial sectors. "Watch what we do. Watch as we've already taken more crude oil off the market than any time in previous history. Watch the efforts that President Trump's policies have achieved. We've done all of this, too, while making sure that American consumers don't suffer, he said, as he avoided giving a direct answer on India and China. "I am very confident that the sanctions that will be re-imposed this Monday, not only the crude oil sanctions, that the financial sanctions that are being put in place by the Treasury Department and over 600 designations of individuals and companies in Iran will have the intended effect to alter the Iranian regime's behaviour. That's our expectation. It's the reason for President Trump's policy," he asserted. India, which is the second biggest purchaser of Iranian oil after China, is willing to restrict its monthly purchase to 1.25 million tonnes or 15 million tonnes in a year (300,000 barrels per day), down from 22.6 million tonnes (452,000 barrels per day) bought in 2017-18 financial year, sources in New Delhi had said. The reimposition of US sanctions on Iran, Pompeo asserted are the toughest ever on this country. They're aimed at a singular purpose, denying the world's largest state sponsor of terrorists the capacity to do things like they did this past couple weeks, attempted assassination campaign in the heart of Europe, he said. These sanctions have already had an enormous impact. We've already reduced Iranian crude oil experts by over a million barrels per day. That number will fall farther. There's a handful of places were countries that have already made significant reductions in their crude oil exports need a little bit more time to get to zero, and we're going to provide that to them, he said. The State Department did not respond to a PTI question as to what will happen if India does not bring down its oil purchase from Iran to zero, as being demanded by it, in next six months. It also did not respond to a question on the fate of the the strategically crucial Iranian port of Chabahar, which India sees as critical for reaching landlocked Afghanistan and Central Asia. In May, President Donald Trump had pulled US out of the 2015 Joint Comprehensive Plan of Action (JCPOA) terming it as disastrous. Under the Obama-era deal, involving five permanent members of the UN Security Council and Germany, Iran agreed to stop its nuclear programme in exchange for relief from economic sanctions. Frankly since May, since the President's announcement of withdrawal from the ill-fated agreement, European companies have fled Iran in great numbers. Hundreds of businesses have departed Iran, he said. 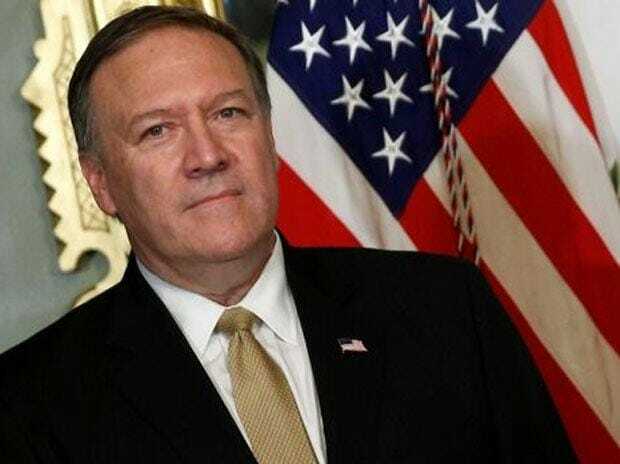 The whole world understands that these sanctions are real, that they are important, that they drive the Iranian people's opportunity to make the changes in Iran that they so desperately want and stop Iran from having the wealth and money that they need to continue to foment terror around the world, Pompeo said. Going forward, next year, we anticipate a much better supplied oil market, and that will help us accelerate, I think, the path to zero, he asserted.